Preparing your home for a renovation or a make-over involves a lot of forward thinking as you consider each room in the interior, including the living room, kitchen and garden. The hallways, however, often escapes our inspiration and creativity. With all of the entertaining and socializing that we do in Canada, however, we want every inch of our homes to be fabulous. A hallway is often one of the first spaces that guests see when they visit your home, setting the impression for the rest of the design. It also connects the spaces of our home, so it should not be overlooked. This is why today, we bring you five examples from around the world that show you how old, tasteless and uninspiring hallways have been converted into stylish and cozy little nooks! A young couple who lived in this old apartment realized that their hallway was in desperate need of a renovation. As you can see, it was in a very poor condition. This hallway is an absolute no-no! The designer professionals have exceeded expectations with this truly amazing project. 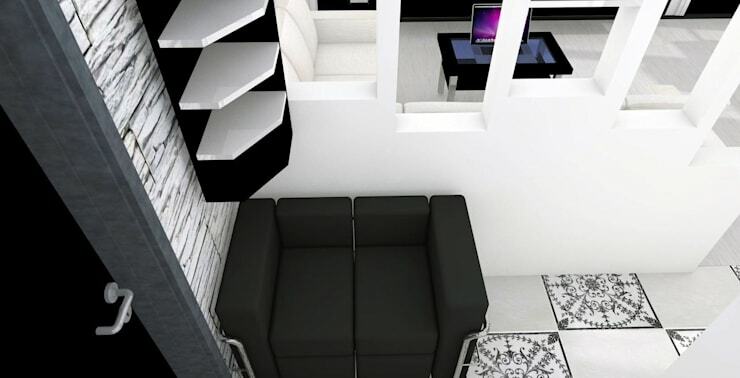 An exquisite combination of black and white brings an eternally classic look and feel to the interior. The compact furniture and elegant patterns on the floor along with the cute shelves and mirror all contribute to a very cozy and chic space. In this very old home, the hallway did not look very promising, yet these designers rose to the challenge. 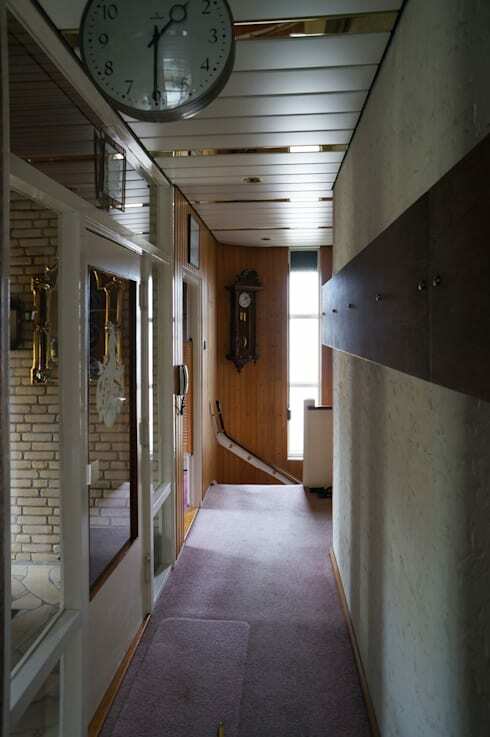 As we can see, the hallway is very narrow and is made more congested by the amount of objects that have been added to this space including clocks, artwork and other items that protrude from the wall. The contrast of colours and textures enhances the feeling of tightness so that even the mirrored doors do not save the situation. The floors are also very tired and uninspiring. 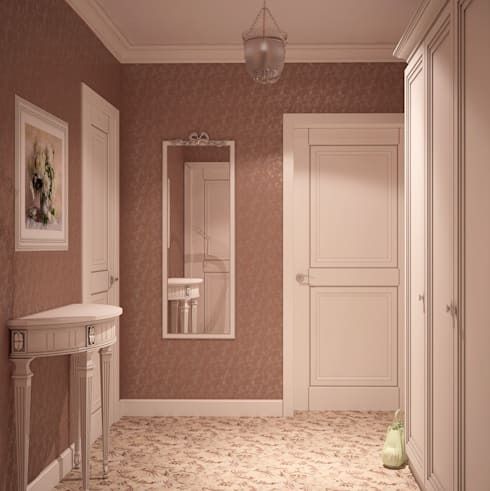 Be swept off your feet with these hallway floors for inspiration for your own home! The most effective way to visually expand a space is to go for light and neutral colours. 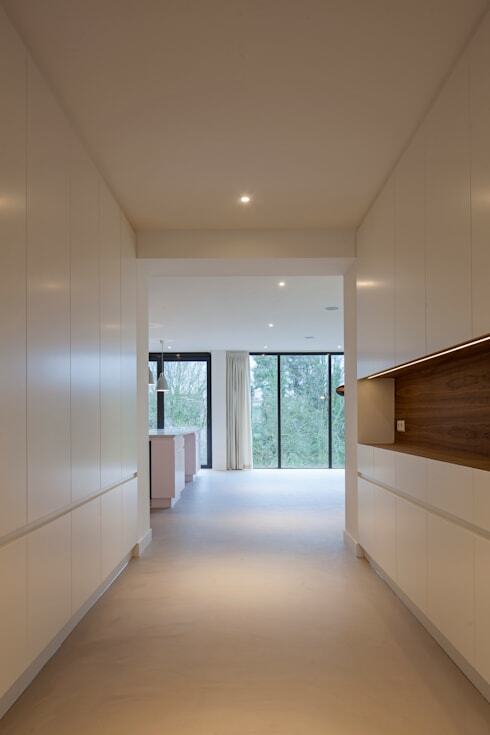 As we can see in this image, this method has worked perfectly, resulting in a very modern and sleek space. A lot more white has been introduced to the space, while less detail means less clutter around the area. The designers have also incorporated some smart storage solutions along this space, allowing for items to be stored neatly out of sight to achieve a neat, minimalist environment. 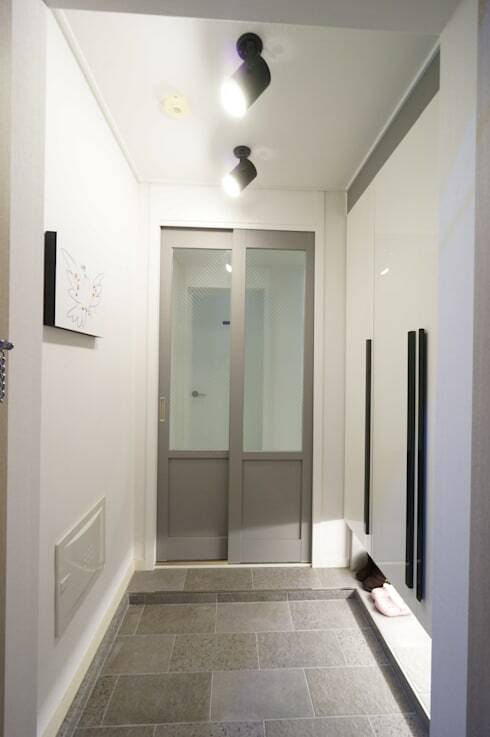 Even in large homes, hallways can be quite tiny. In this two-level apartment, we can see how a team of designers were needed to intervene in this space. The entrance hall is small, intimate and washed out with its grey tones, making for a very uncomfortable space. 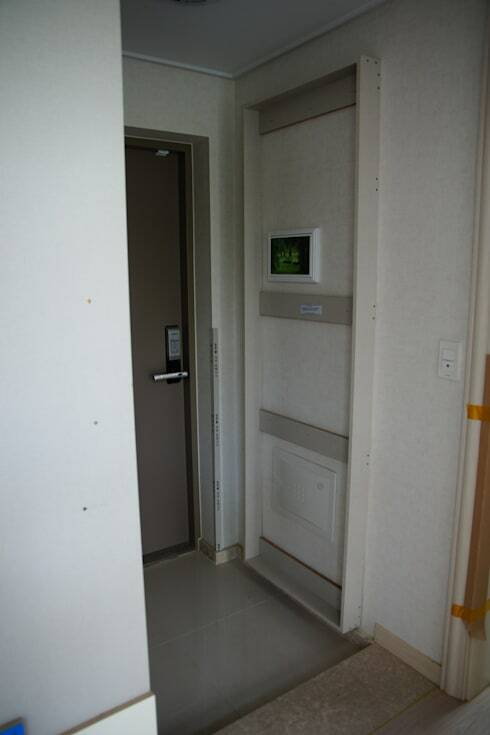 As we can see, the grey colours in the hallway have been maintained, but everything else has been completely transformed. The designers utilized every square inch available to them, creating a much more comfortable and spacious hallway. You can move around much more easily in this area now. 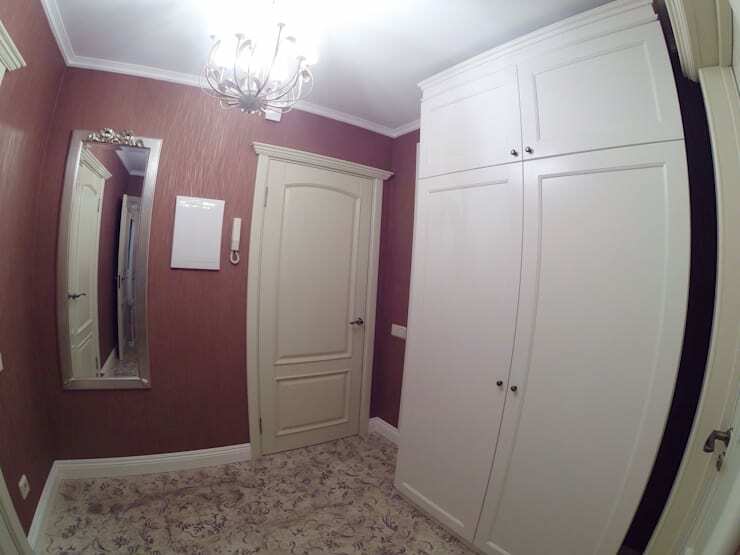 In this small apartment, the hallway was in desperate need of a make-over. As we can see in the image, it is a shining example of kitsch with its pink wallpaper, painted floors, old-fashioned moldings, wrought-iron chandelier, gilt framed mirror and ornate door handles. What could be worse than than the atmosphere of an old, cheap dollhouse? The lighting is also completely wrong, creating a very unattractive space with no atmosphere. The designers have completely visually updated the hallway. During their work, they took into account the love that the owners have for a strawberry colour scheme as well as antique furniture. Thus they have embodied this style, but have added thin and graceful lines as well as subtle colors to create an elegant and sweet environment. Each accessory and decor item has been carefully selected and is of high quality, gently enhancing this space. This is one of the most dramatic and impressive transformations. 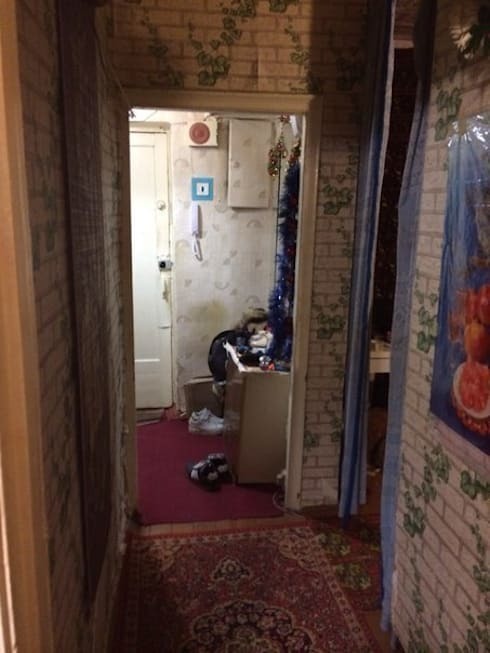 In this Moscow apartment, which was built in the early 1930's, we can see that the hallway and the home itself is in a total state of disrepair. 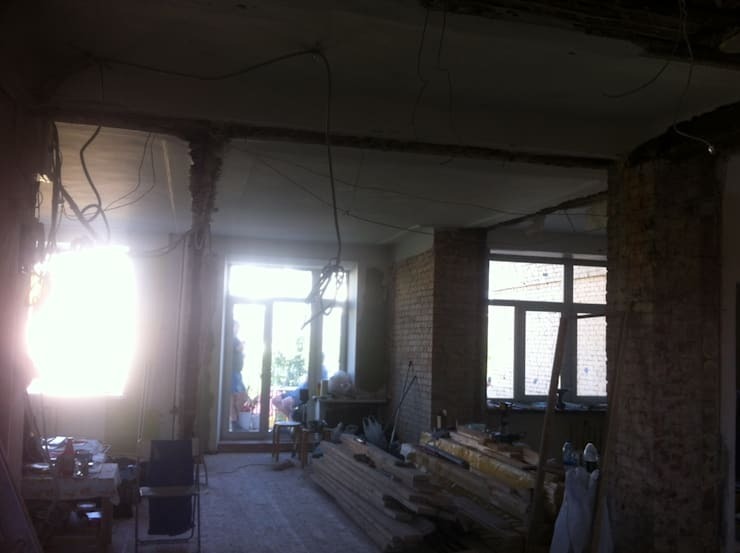 Renovating this space was quite a challenge because as we can see, it is ruins. The hallway in this apartment has been transformed beyond recognition. The pale cream-colored walls make the room very cozy while the unobtrusive soft lights in the ceiling makes this space look welcoming and warm, without hurting the eyes. 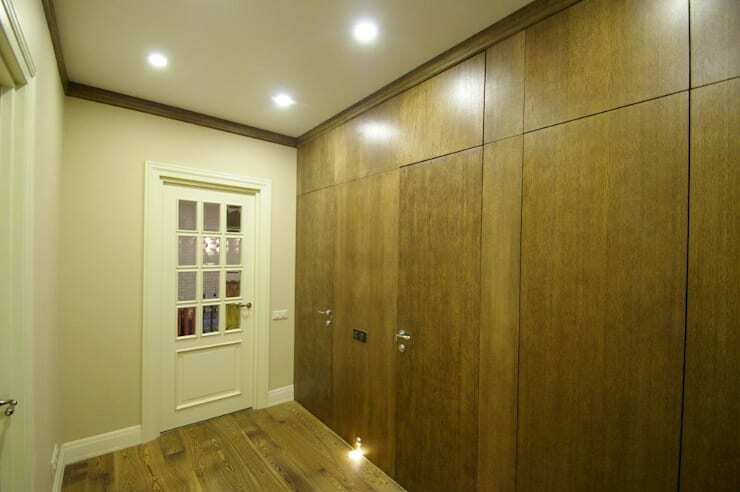 The abundance of wood improves the room and adds solidarity to it. Also have a look at these 6 simple ideas to decorate your hallway. Did you find this ideabook useful? Comment your thoughts below!